The Shakespeare Festival in Cedar City is a wonderful way for your family to engage in a timeless cultural experience in Southern Utah. First presented in 1962, the festival has been bringing quality plays to the state for over 60 years. Founded by Fred C. Adams, the festival started as a way to provide more recreation for visitors to Utah while drawing them and their dollars to Cedar City. Over half a century later, the Shakespeare Festival has grown into a 16-week event that brings more than 110,000 patrons to the University of Southern Utah. 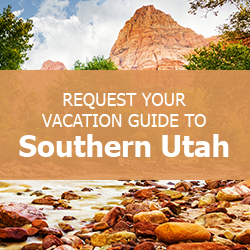 When your family comes to Southern Utah for the Shakespeare Festival in Cedar City, make sure you download a copy of our complimentary Southern Utah Vacation Guide. It contains great suggestions for events, outdoor activities, restaurants, attractions, and more to do while you’re here. When you download the Vacation Guide, you have access to all kinds of great ways to make memories during your trip. Check it out, and begin planning your ultimate Southern Utah family trip today! Amazing plays aren’t the only thing your family will enjoy at the Shakespeare Festival in Cedar City. There are also a number of related events that are both fun and educational. Take your family on a Backstage Tour to see how a play comes alive. Play seminars give you a chance to participate in a discussion about each piece. You can also attend a Play Orientation beforehand in order to prepare, in addition to a number of other enjoyable supplemental events. After the Shakespeare Festival in Cedar City, your family will need a place to put on a great production its own. Come back to your Family Time Vacation Rental and get the best seats in the house! Our gorgeous, spacious homes set the stage for a perfect vacation to Southern Utah! Filled with everything you need for a great trip, Family Time Vacation Rentals are some of the best places to stay in Brian Head, Panguitch and Duck Creek. Contact us today! We look forward to helping you make memories during your next family getaway! You Need to Experience Bryce Canyon Inspiration Point — Have an Amazing Day at the Panguitch, Utah Balloon Festival!